As part of the countdown to the one billionth download from the iTunes App Store, Apple has released lists of the all-time top paid and unpaid apps, with Crash Bandicoot riding high. Video games represent 14 out of the 20 all-time top paid applications in the iTunes store, and it really isn't a surprise to see a launch title like Crash Bandicoot: Nitro Kart Racing 3D top the list. It's an application that really shows off what the iPhone is capable of, so it naturally became a go-to title when new visitors to the store took their first steps into the games section. Super Monkey Ball and Enigmo were among other launch games to make the list, with familiar names like Monopoly, Tetris, and Bejeweled 2 also catching customers' eyes. On the free side of things, only six games made the cut, including Tap Tap Revenge, which comes in at number four. This conflicts with the report last week that listed Tap Tap Revenge as the most downloaded iPhone title by comscore, but there's a perfectly good explanation: comscore counted installed units and not download numbers, and their data only extended through February of this year. 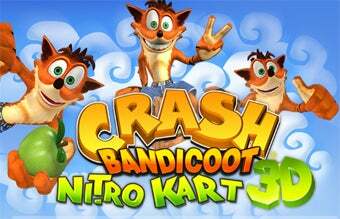 So congratulations to Crash Bandicoot! Your console star might have faded, but the less informed still remember your name.